To me, stuffed chicken has always seemed incredibly fancy. Even with all of my culinary experience, there are very few dishes that surpass the elegance of a chicken dish paired with ham and cheese. Whether it’s chicken cordon bleu or this British parma-ham wrapped extravaganza, you’ll be sure to impress guests with the marriage of chicken, cheese, and cured ham. Before we get started, let’s first un-British some words. 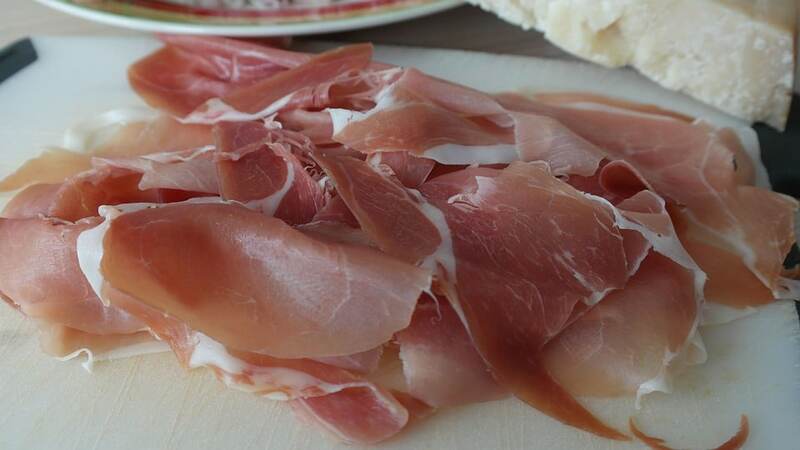 Parma ham is a particular style of prosciutto. Notably, it’s produced near the city of Parma (in Italy) under a special set of rules and regulations. For the purpose of this recipe, it’s perfectly okay to use any form of prosciutto. It won’t be 100% the same, but it’ll lend its own unique flavor to the dish. The first step to preparing this dish involves butterflying each chicken breast you intend to cook. 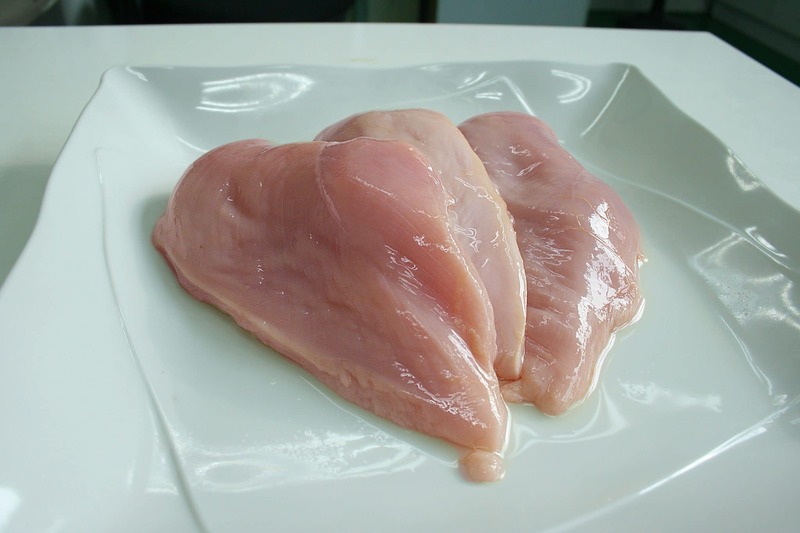 In order to do this, cut the breast nearly in half lengthwise. Don’t go all the way through, though. You’ll want to leave a connected part (kind of like a hinge) in order to keep things together. If you accidentally cut all the way through, however, it’s not a huge deal, The prosciutto you use will still keep your chicken in place. Take each butterflied chicken breast and lay it flat. Line one side with mozzarella slices, then fold shut (you’re basically making a cheese sandwich with chicken instead of bread). Gently salt and pepper the outside of the chicken. Place your chicken in a baking dish. Dice the garlic clove and your thyme and sprinkle it on top of your chicken. Place the baking dish in the oven for 20-25 minutes or until the chicken is cooked. Like most of my other recipes, there’s a lot of room for innovation with this one. A number of people I’ve spoken to prefer to first sear their chickens on a frying pan before putting them in the oven. I’m somewhat skeptical myself since it seems like all I’m searing directly is the prosciutto. I’ll get a similar amount of indirect heat in the oven. There are a number of ways to serve these stuffed chicken breasts. 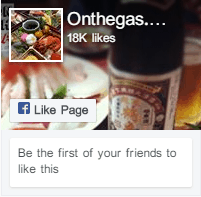 One simple method is to present them as a sandwich between two pieces of bread. In England, they’re often served alongside potatoes with a tomato-based sauce. When it comes to the recipe itself, there are a number of small tweaks you can make. 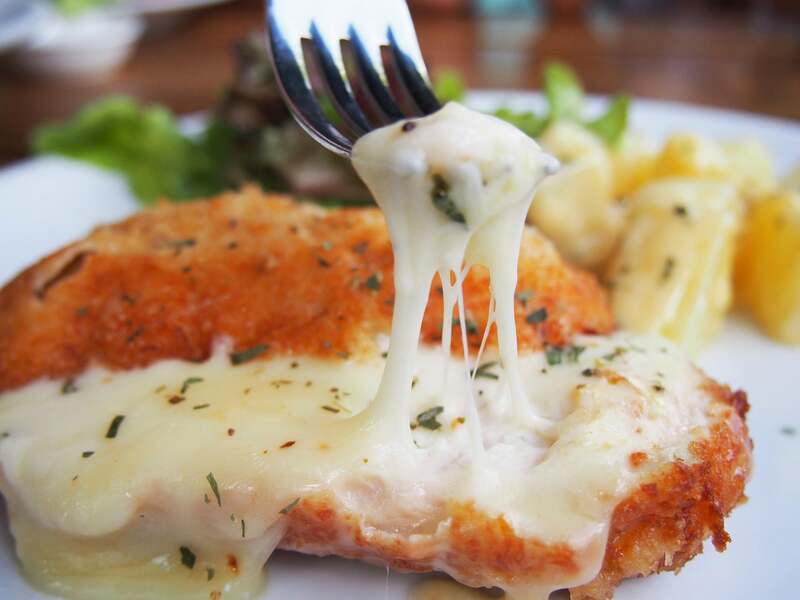 Changing the cheese you put inside the chicken has a pretty interesting effect on the character of the dish. 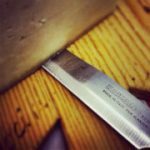 Using cheddar, for example, gives it a uniquely American flavor that’s decidedly delicious. You could even wrap the chicken in bacon instead of prosciutto, although that’s probably a bit too far for most folks. Finally, throwing a bit of thyme and garlic on top of the chicken is wonderfully simple and pretty tasty, but there are other avenues you can use to add aromatics to this dish. Try spreading a bit of your favorite pesto or aioli inside of each breast with the cheese. Consider infusing herb flavors into a bit of melted butter and pouring it over the top of your chicken before you put it in the oven. You could even use a herb-infused cheese instead of regular mozzarella to ensure that there are gooey flavors in every bite. You don’t need to slave away in the kitchen for hours in order to make a wonderful stuffed chicken dish. 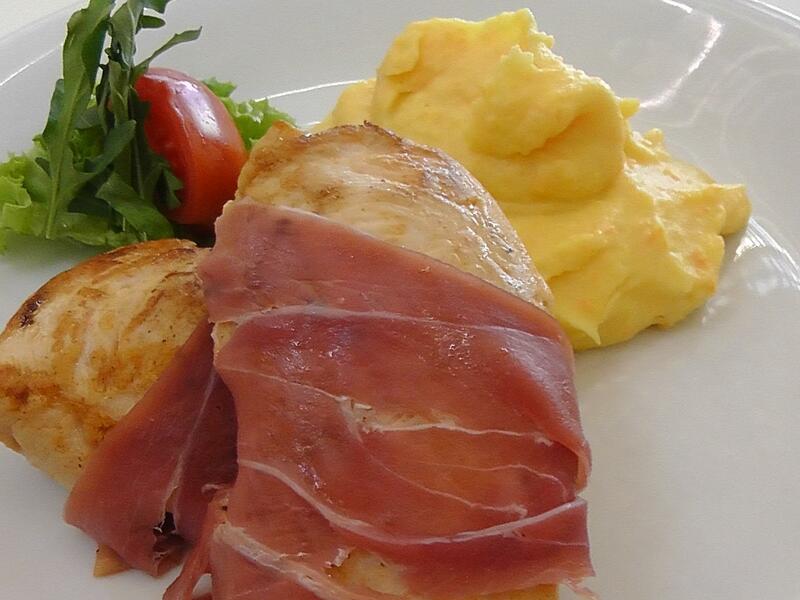 This mozzarella stuffed chicken wrapped in Parma ham only takes a few minutes of prep time and is incredibly delicious. You’ll be sure to impress any dinner guests with this unique dish.